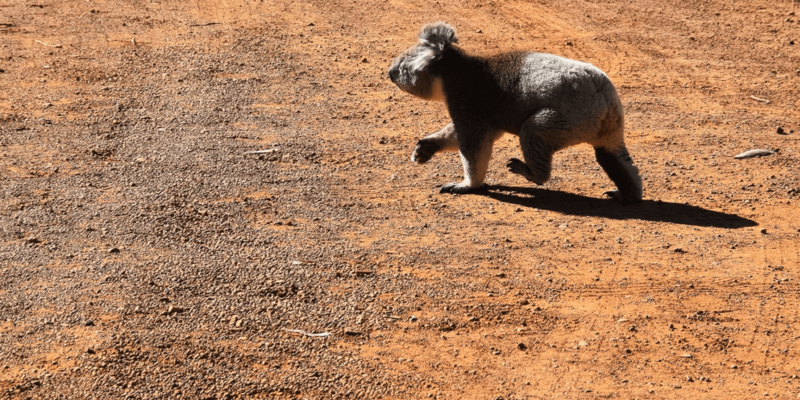 Located on Tasmania’s stunning East Coast, Freycinet National Park attracts thousands of visitors each year with it’s secluded bays, white sandy beaches, dramatic granite peaks and abundant wildlife. 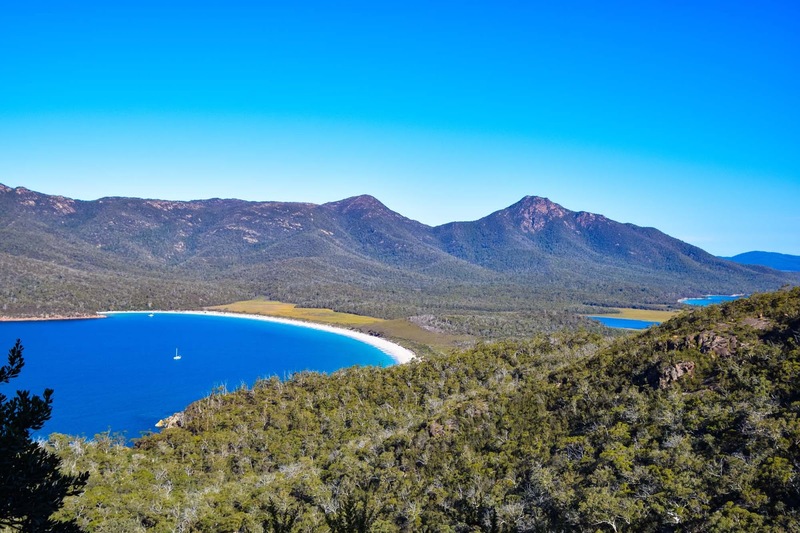 Freycinet is also the home of the iconic Wineglass Bay. 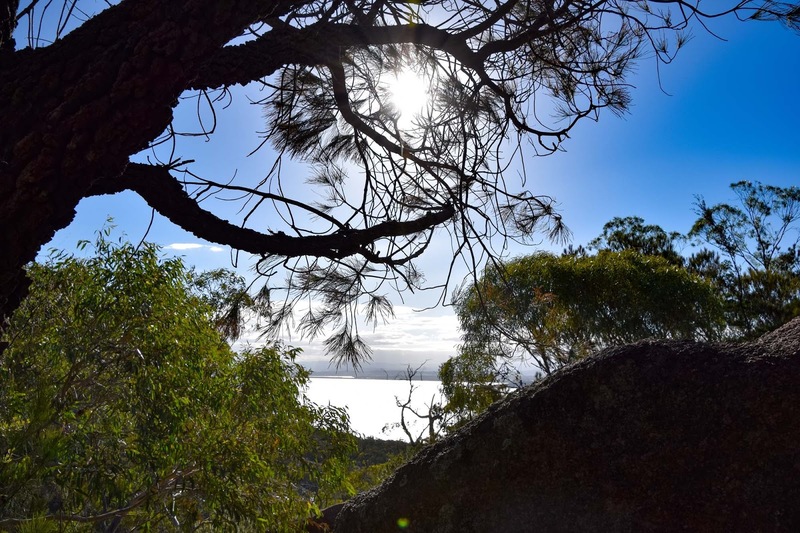 The National Park occupies the majority of the Freycinet Peninsula, looking out to the Tasman Sea from the Eastern side, and back toward the Tasmanian Coastline on the West. 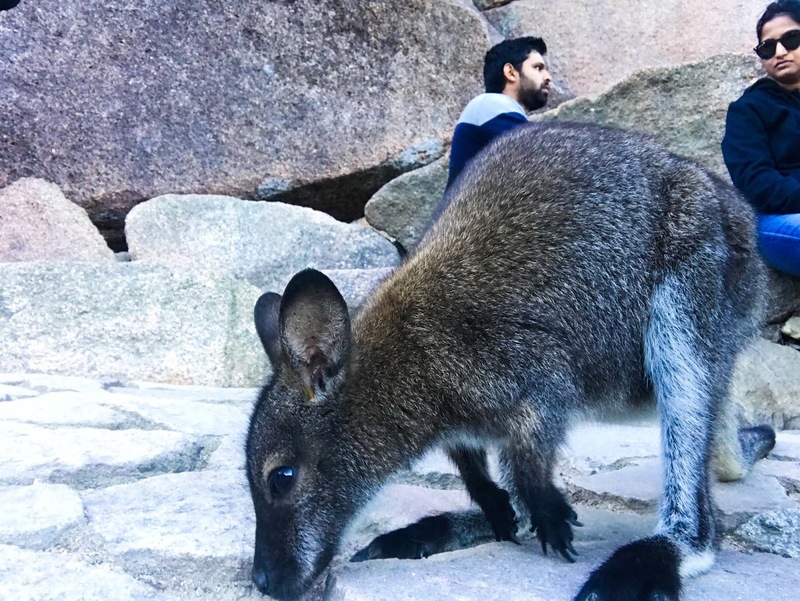 Freycinet and Wineglass Bay were at the very top of my list of places to visit in Tasmania. Everything about the national park is just beautiful – peaceful and private, with truly stunning mountain backdrops on the waters edge. 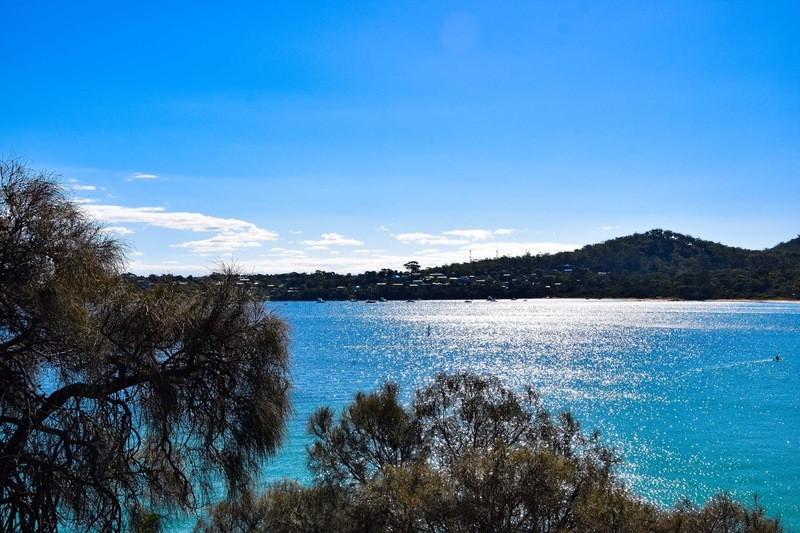 The main town in Freycinet National Park is Coles Bay, a very quiet peaceful little town that you could easily miss if you weren’t looking for it. 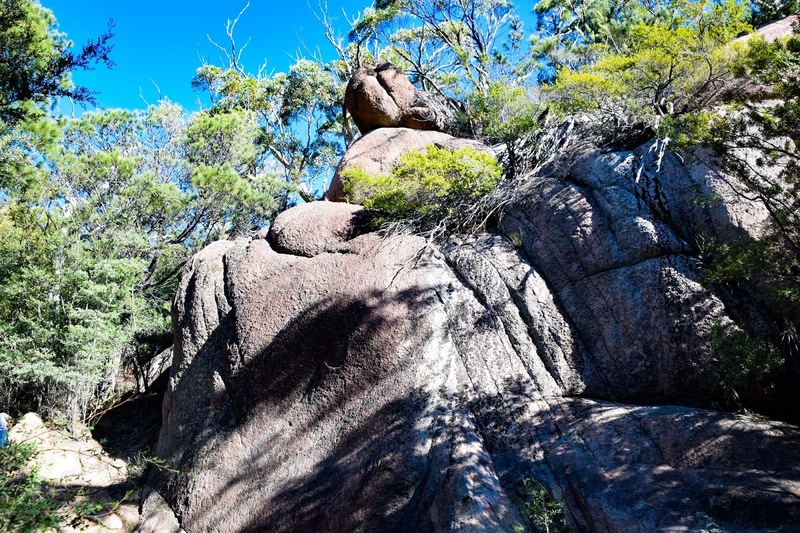 However, the only thing that matters in Freycinet is the natural beauty, and there is absolutely no shortage of it. 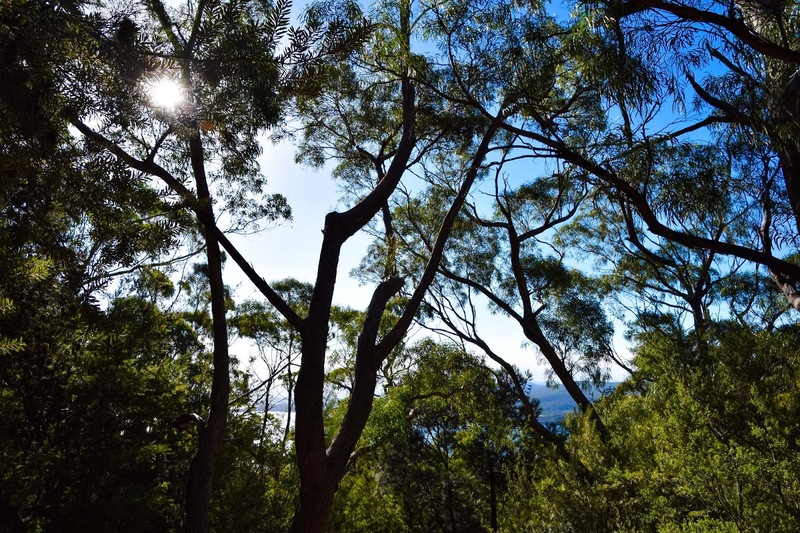 There are many different accommodation options in Freycinet, from budget camping to one of the most outstanding award winning hotels in the country. 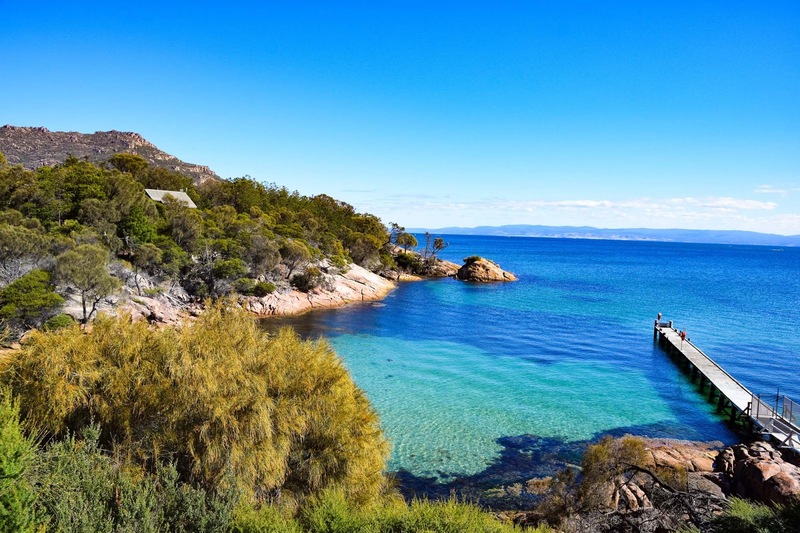 Secluded, on the waterfront and within Freycinet National Park, this lodge is for everyone. With ultra luxurious chalets as well as family cabins, each cabin has a private balcony and makes you feel like you’re right in the middle of the forest. 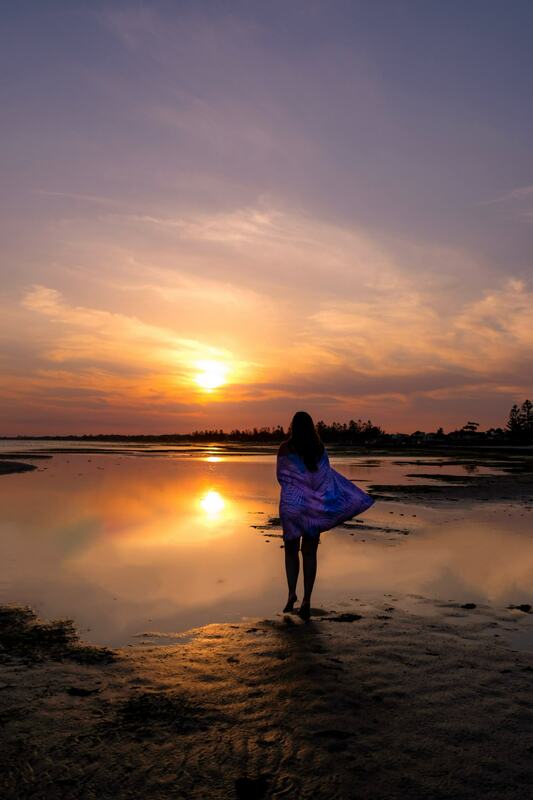 The lodge is so peaceful, with the private beach nearby offering some of the most amazing sunrises. Check out the best prices for your stay at Freycinet Lodge. 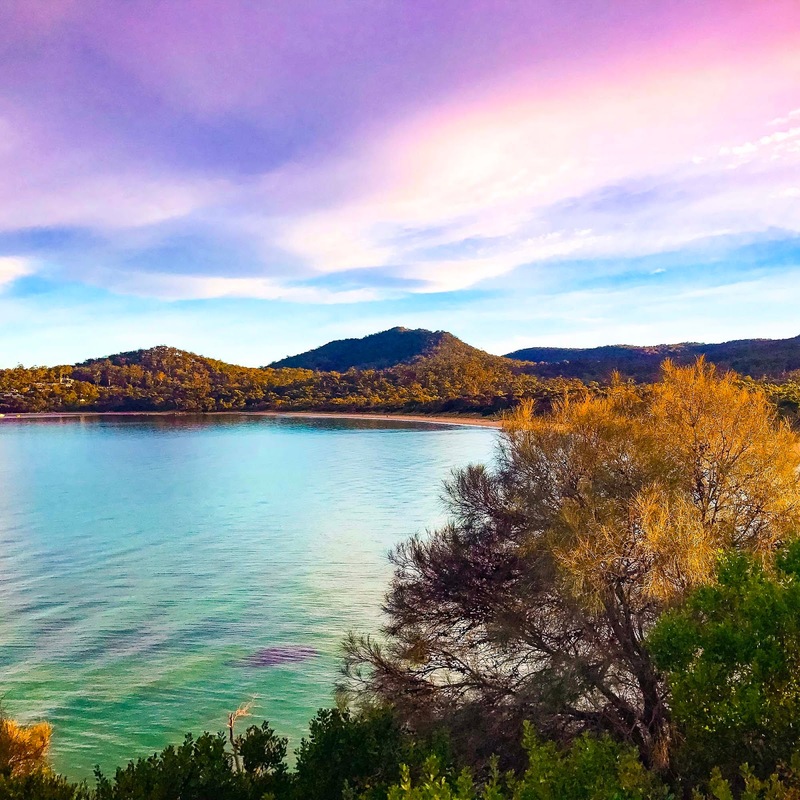 One of Australia’s most stunning luxury accommodation is Saffire, perfectly positioned to look over the Hazards Mountains, Freycinet Peninsula and the crystal clear waters of Great Oyster Bay. Everything about Saffire is outstanding, from the innovative menu options full of local produce to the wellbeing spa to soothe a crazy mind. Saffire even has a pen where you can meet and feed their own Tasmanian Devils! 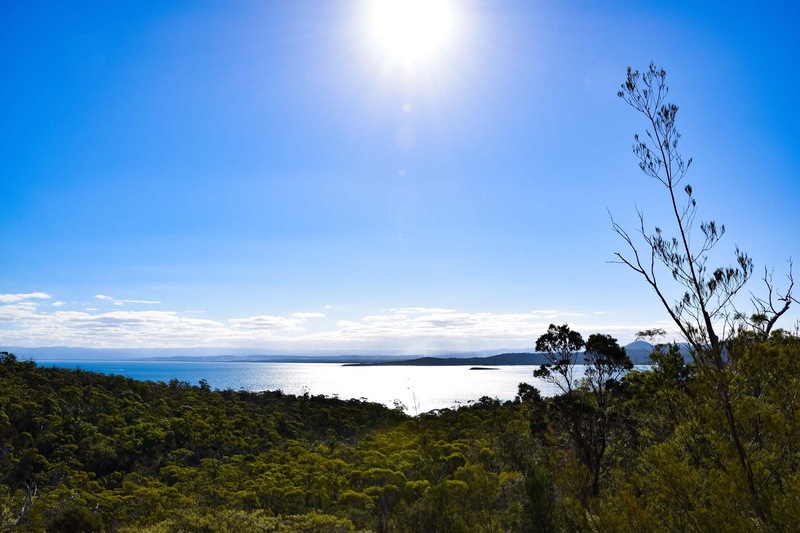 Find the best deals for your stay at Saffire Freycinet. 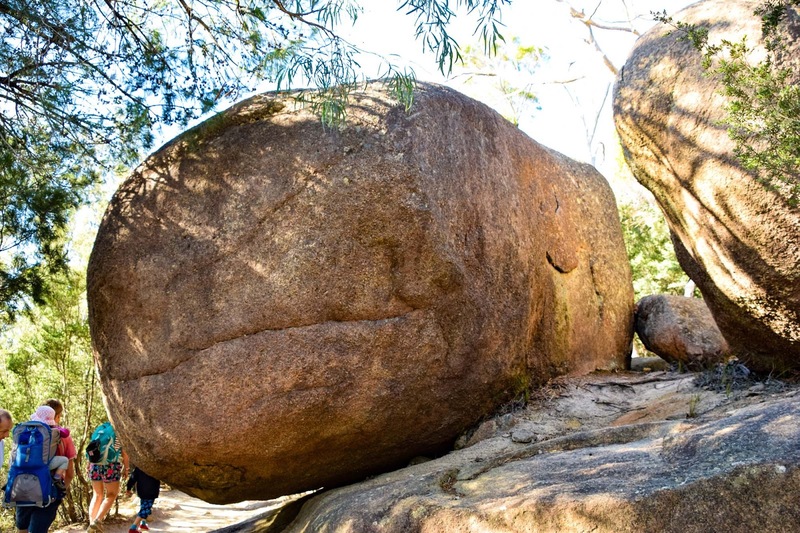 Offering both powered and un-powered campsites in the most amazing location, the camping ground in Freycinet National Park will make you forget that you’re travelling rough. Some sites are only available over summer and Easter, with others open all year round. 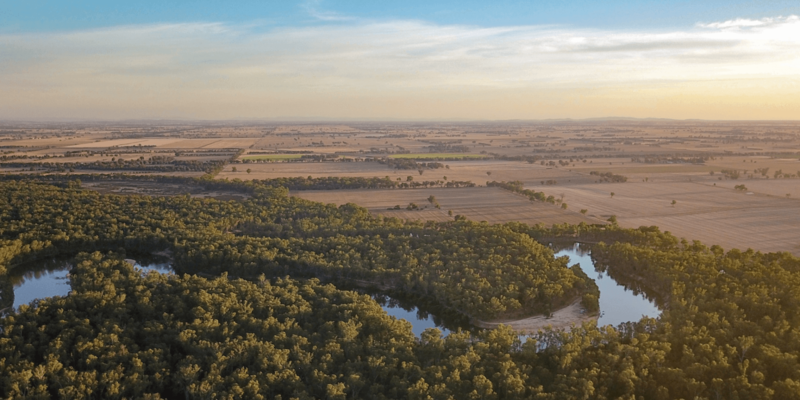 Due to the extremely high demand for campsites, a ballot system operates from the 18th of December until the 10th of February and for Easter. The ballot is drawn at the beginning of August, so make sure you get in there! The views of Wineglass Bay are legendary. 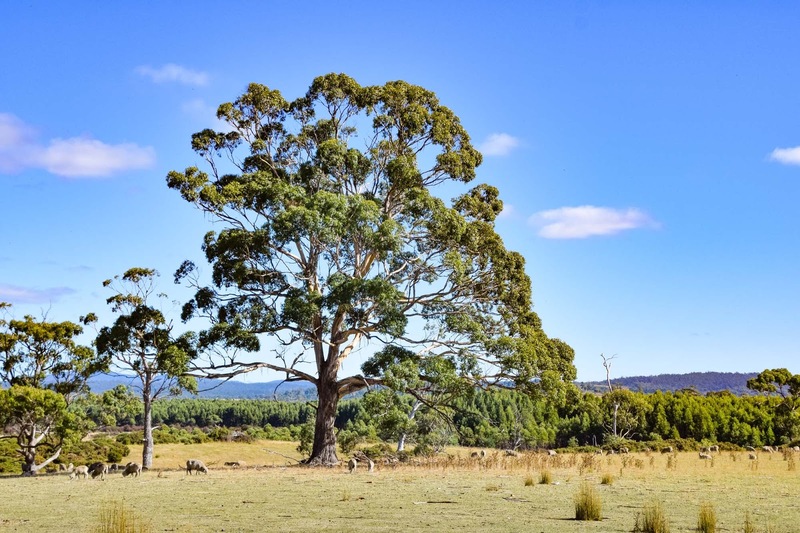 Definitely one of the most photographed views in Tasmania. 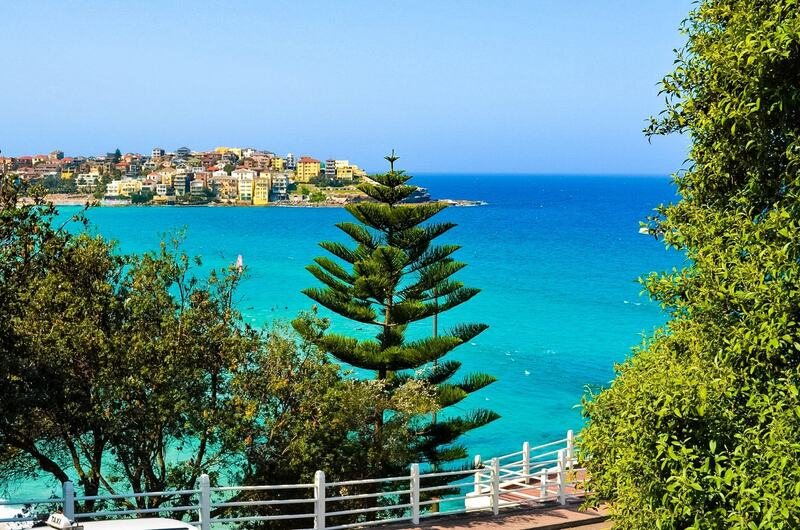 There are a few different hikes that you can take to experience this iconic view. 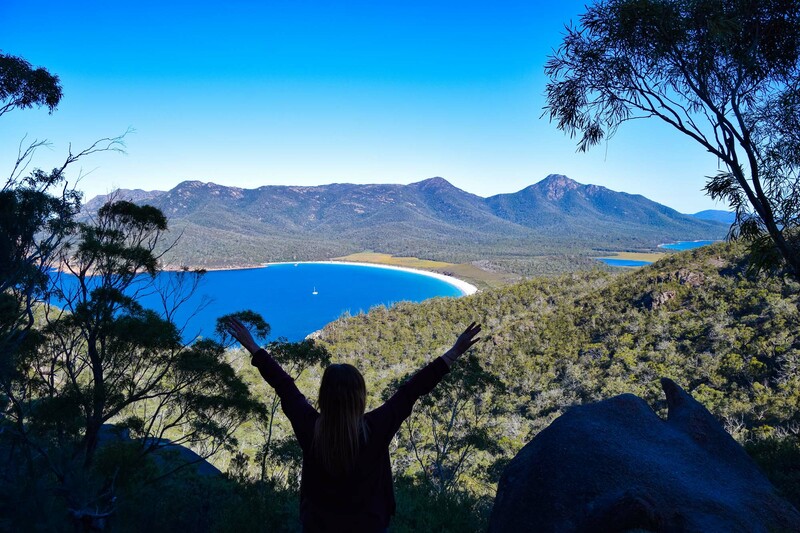 The most popular hike is the basic walk that leads to the Wineglass Bay lookout. It takes about an hour and a half round trip and gets pretty steep in some sections so make sure you wear appropriate footwear and bring some water. 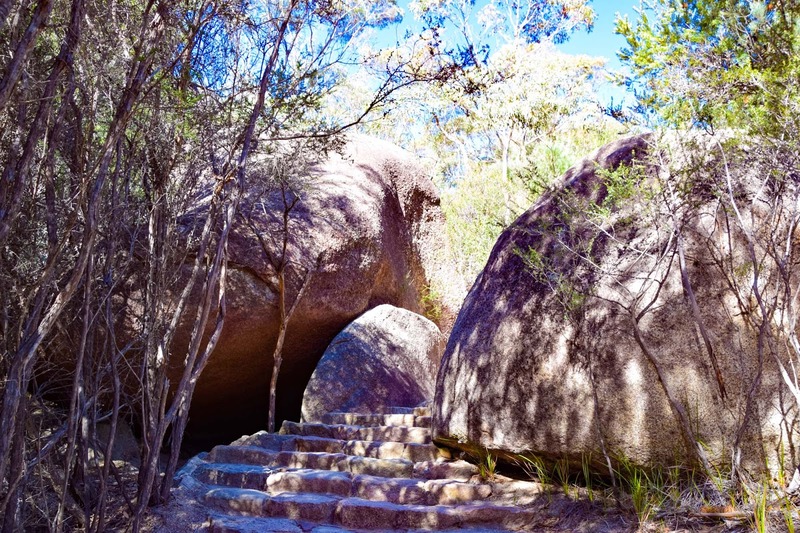 To continue on a half day trek, you can keep going from Wineglass Bay Lookout and walk right down to the beautiful, perfectly curved beach and then back to the park entrance via the Hazards Range for some stunning views of Great Oyster Bay and the coastline surrounding the village of Swansea. 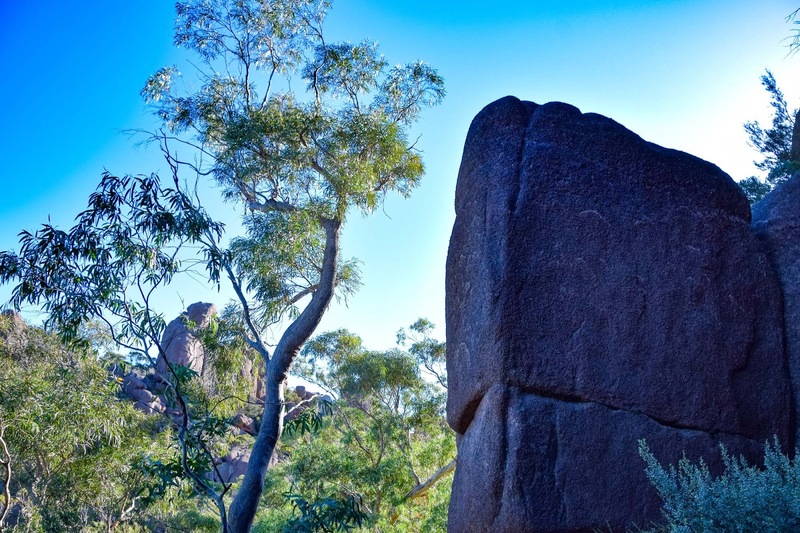 The Hazards look best at sunrise and sunset, when the pink granite glows bright. 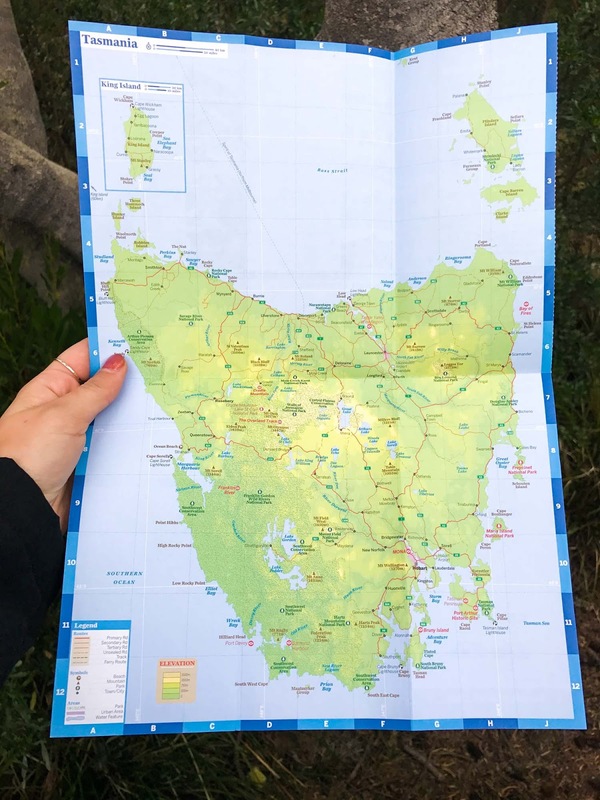 For an even longer hike, and for those that are truly prepared, you can walk the whole length of Freycinet Peninsula on a minimum two day walk, which lets you check out more remote places like Cooks Beach and Bryans Beach. If you’re going to tackle this beast make sure you’re prepared with water and supplies. 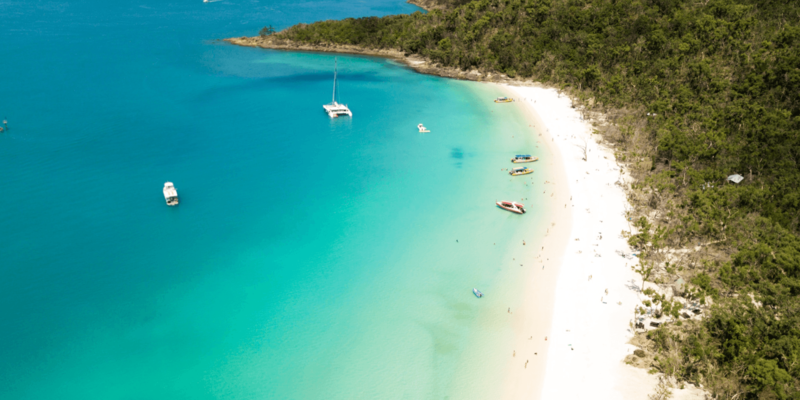 For an alternative view you could also try a Wineglass Bay Cruise to search for the unique marine life that live in the area! You can read all about the cruises here to find out more info. Coles Bay sits at the foot of the granite mountains known as the Hazards, right on the edge of Freycinet National Park and Wineglass Bay. Coles Bay itself is extremely small, with only a few shops around including the Coles Bay Convenience Store and a Post Office. For upscale dining, The Edge Restaurant is the place to be, opening for drinks from 5:30pm and dinner from 6pm. 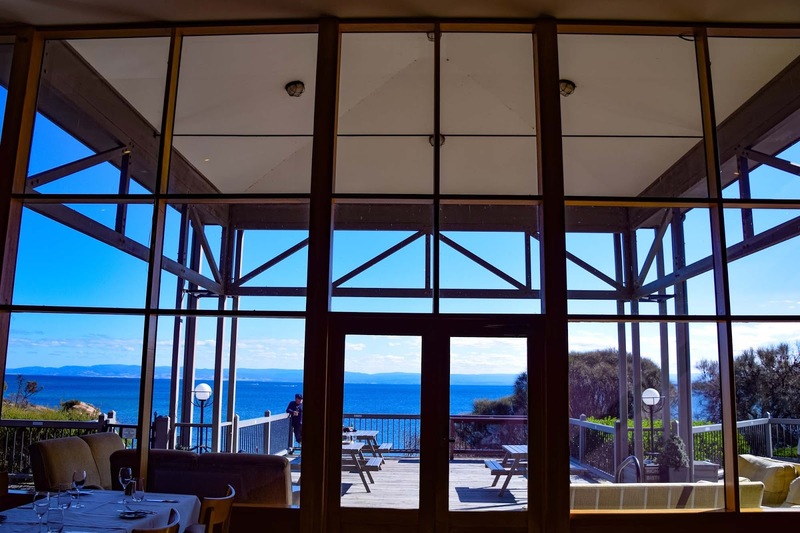 If you’re after more casual meal options, Iluka Tavern & Bistro across from the bay or Richardson’s Bistro & The Bay found inside Freycinet Lodge. The main draw card of Coles Bay is absolutely the views, peace and serenity. Take a moment to soak it all in! 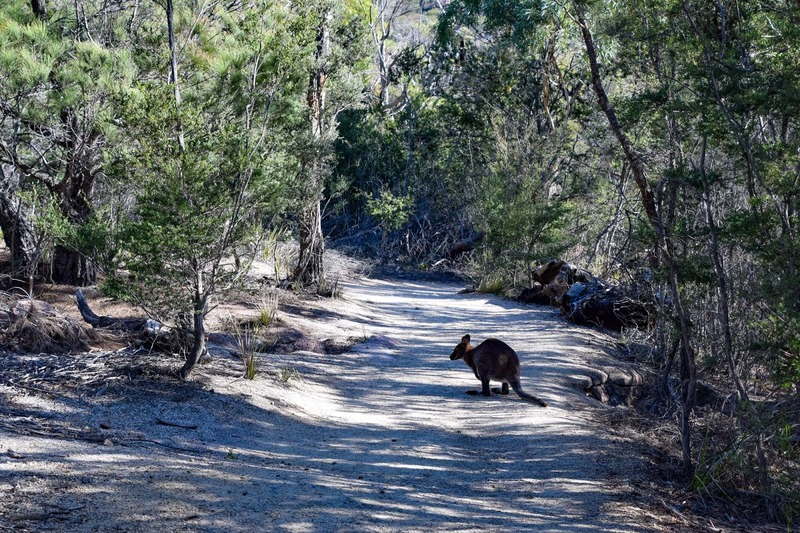 Check out all of the experiences and adventures you can have around Coles Bay. 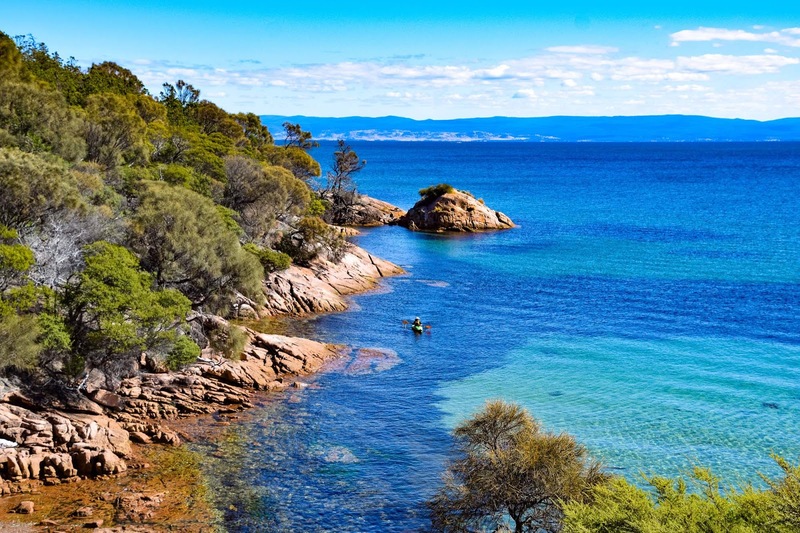 Freycinet National Park is about 2.5 hours from both Hobart and Launceston via the A3 Tasman Highway. 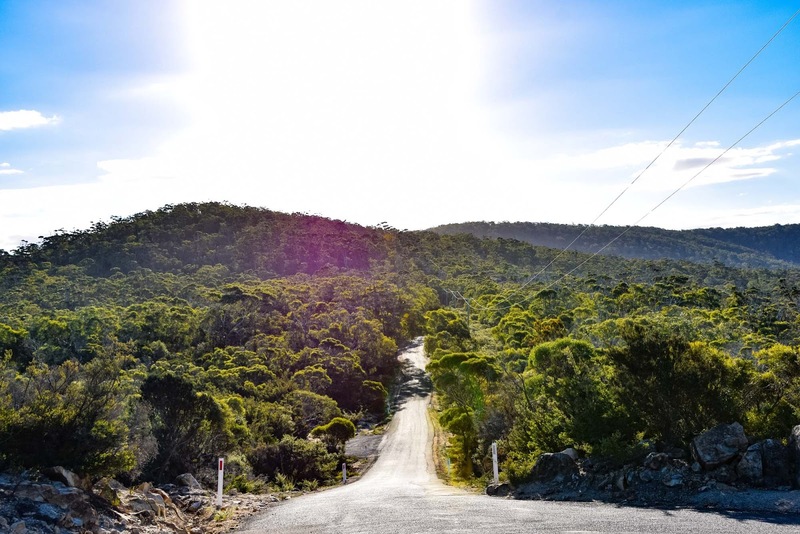 Driving is definitely the easiest way to get there, as well as around Tasmania. Make sure you reserve cars in advance during the summer months and long weekends as they can often be completely booked out in advance. 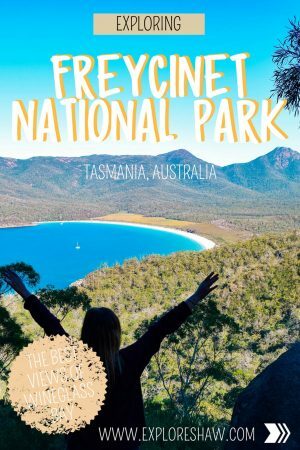 A valid park permit is required to enter Freycinet National Park. 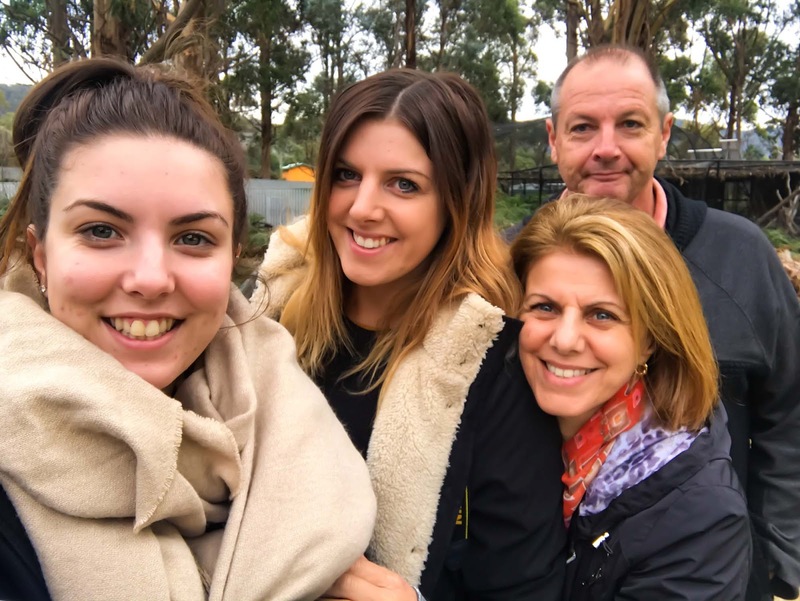 The fee for a car is $24AUD, which includes entry for up to 8 people for 24 hours. If you’re visiting the park on foot or by bike entry costs $12AUD per person. 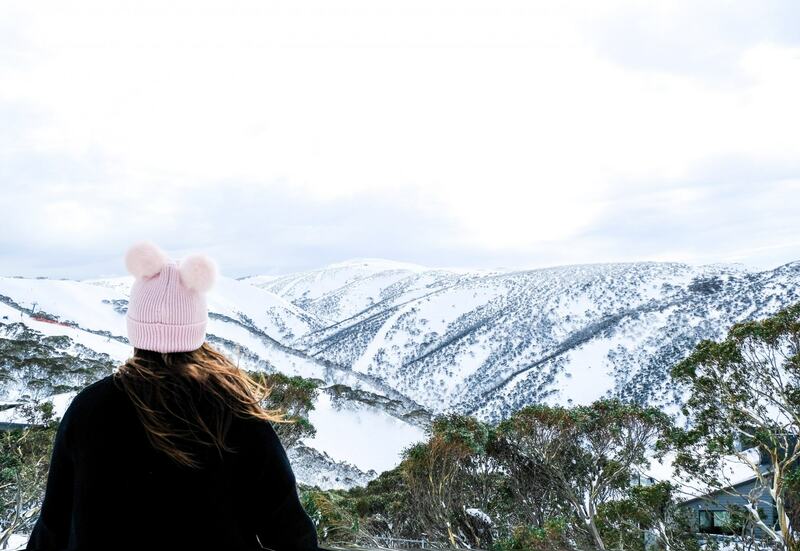 If you’re staying for a longer period of time, you can choose a holiday pass for 8 weeks which costs $60AUD for a car or $30 per person. Book your rental car in advance to get the best prices.